FOREO is dedicated to creating solutions that keep consumers looking and feeling good. This year, the brand is extending that commitment to the world around us, by giving back to a cause that’s vital to everyone's well-being - the ocean. 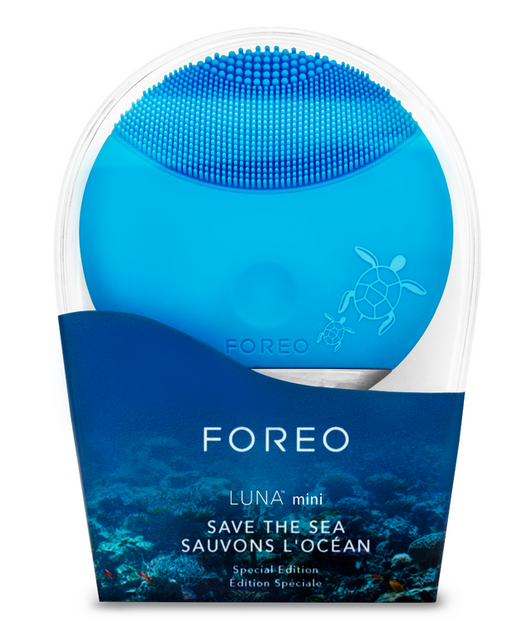 As part of the campaign, FOREOwill donate all net proceeds from the LUNA™ mini Special Edition sales to the FOREO Board of Ocean Conservation charity partners comprised of GreenWave and SEA LIFE Trust. Donations will further raise the awareness and funds these organizations need to help protect and preserve our oceans. The LUNA™ mini “Save the Sea” Special Edition is available for $139 at participating retailers including Ask Derm, Barneys New York (in-store only), B-Glowing, Dermaglobe, Dermstore, Joyus, Sephora and foreo.com from June-September 2015.